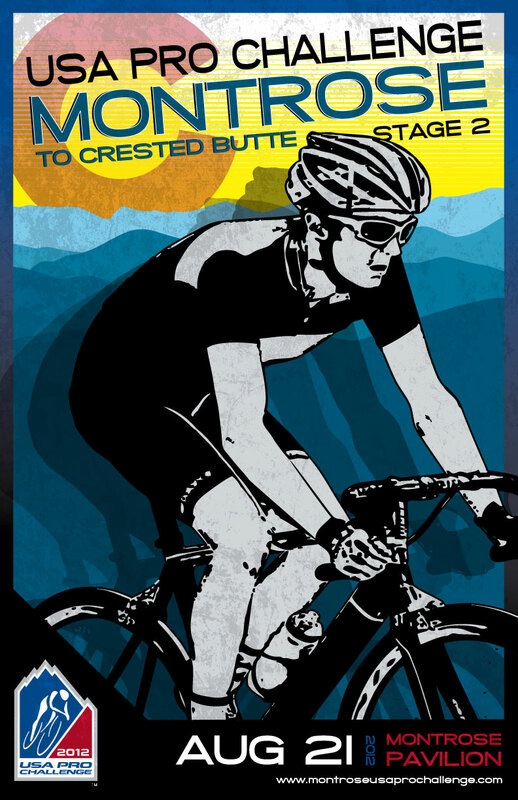 Winner of the USA Pro Challenge Poster Contest! 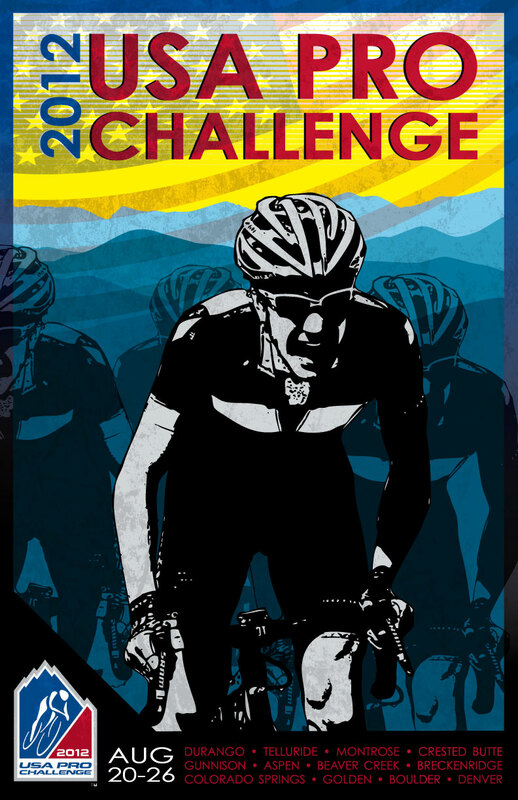 Earlier this year the USA Pro Challenge announced that they would be holding a national poster contest for the pro cycling race again this year. The race, which is often referred to as America’s Race, consists of the world’s top cyclists competing on a seven day course through the Rocky Mountains. With more that 1 million spectators, it is one of the largest cycling events in U.S. history. This year my hometown of Montrose will be hosting the Stage 2 Start on August 21st. Competing with hundreds of poster submissions from 23 different states, it is an honor to have won not only the local poster for Montrose, but the National poster which will serve as the official commemorative poster for the second-annual race set for August 20-26, 2012. Thanks to all who voted!